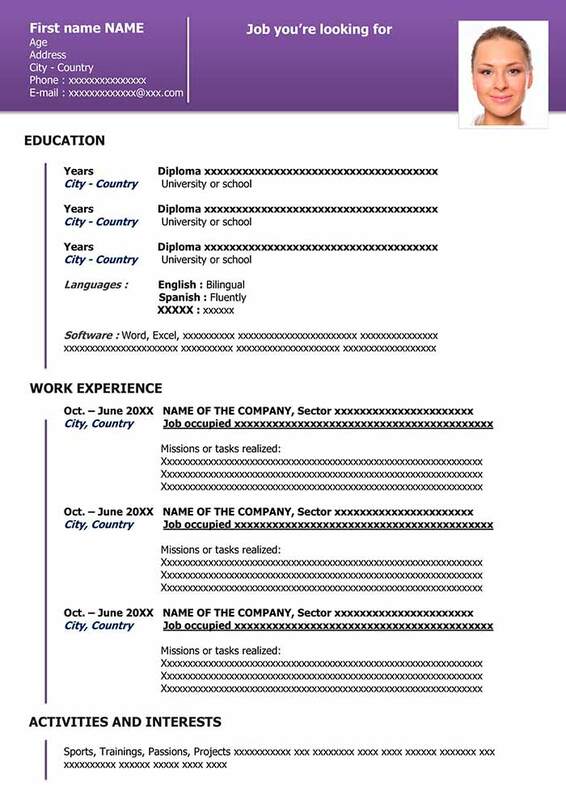 CV template for Microsoft Word available for instant and free download. This cv layout can be download in Word format and is ideal for finding any job or internships. 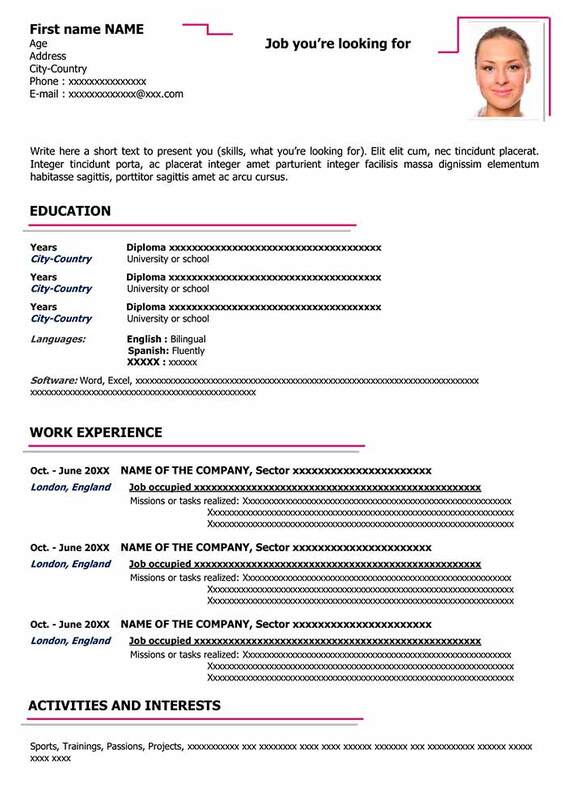 Elegant and effective, this cv layout template will attract the attention of recruiters. 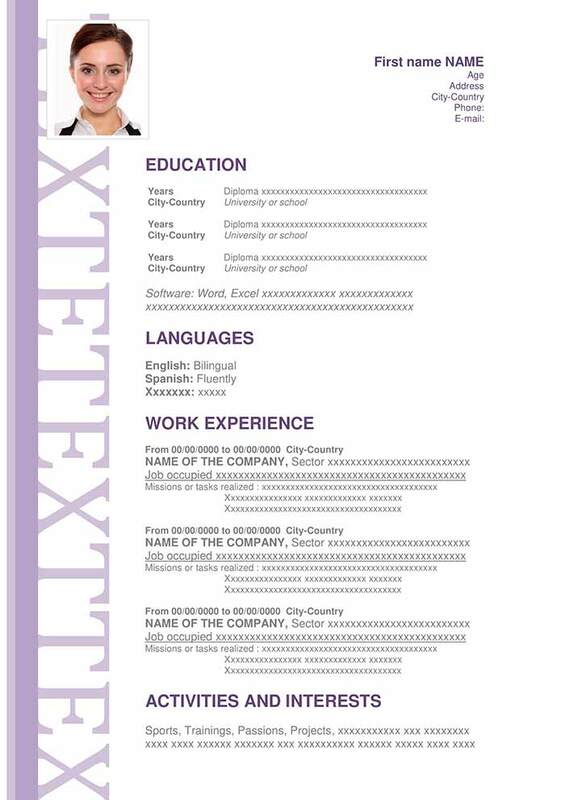 This cv layout sample can be adapted to all types of profiles and searches.